I'm so excited to be able to offer this amazing collection of Neals Yard Remedies Organic skin care, bath and beauty products to one lucky winner! If your name is drawn as the winner, you will receive NYR Organic's Purifying Men's Face Wash, Geranium & Orange Foaming Bath, Aromatic Body Lotion, Ginger and Vanilla Shower Gel, and Beauty Sleep Body Butter! This Prize Set includes: NYR Organic's Purifying Men's Face Wash, Geranium & Orange Foaming Bath, Aromatic Body Lotion, Ginger and Vanilla Shower Gel, and the amazing Beauty Sleep Body Butter! A value of over $70! Ready to enter? It's easy! 2. Click and join my Wellness and Beauty Facebook Group. 3. Then use the Rafflecopter Form, below, to verify your entries and learn more ways to enter! (You must use the form to be sure your name will be included in this drawing). Want to know more about Neals Yard Remedies/NYR Organic? 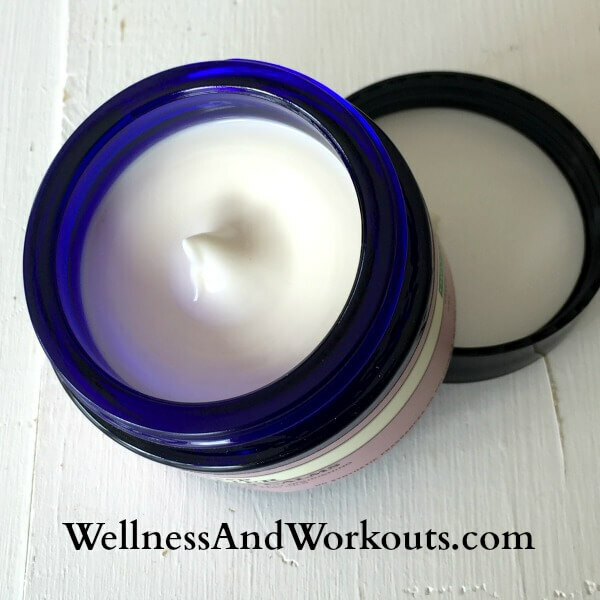 For March 2016, NYR Organic was offering a special price on one of my very favorite products--Beauty Sleep Concentrate. But on special or off, this is an AMAZING, deeply moisturizing product. 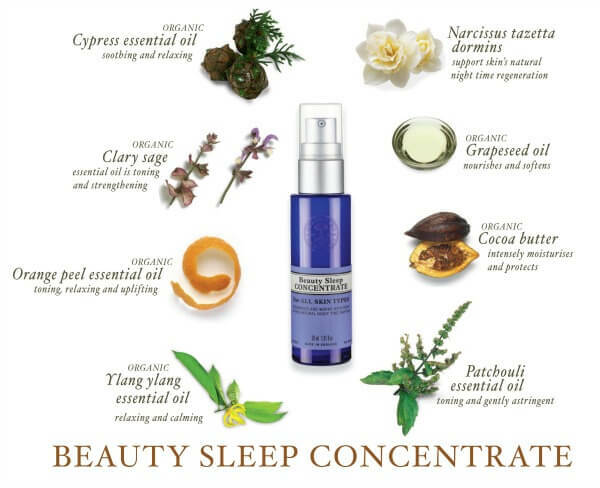 The Beauty Sleep Line has such an amazing scent, it is one of my favorite essential oil blends. Organic Cypress, Organic Clary Sage, Organic Orange Peel, Organic Ylang Ylang and Patchouli essential oils, along with narcissus tazetta dormins, organic grapeseed oil, and organic cocoa butter make for a deeply moisturizing face treatment that once you try, you won't want to be without. I have made sure I have not run out of it, since starting to use it almost two years ago. I don't know which I like better--it's beautiful, restful scent, or how deeply it nourishes and moisturizes my skin. Check out Beauty Sleep Concentrate here, now! Want Bigger Savings? 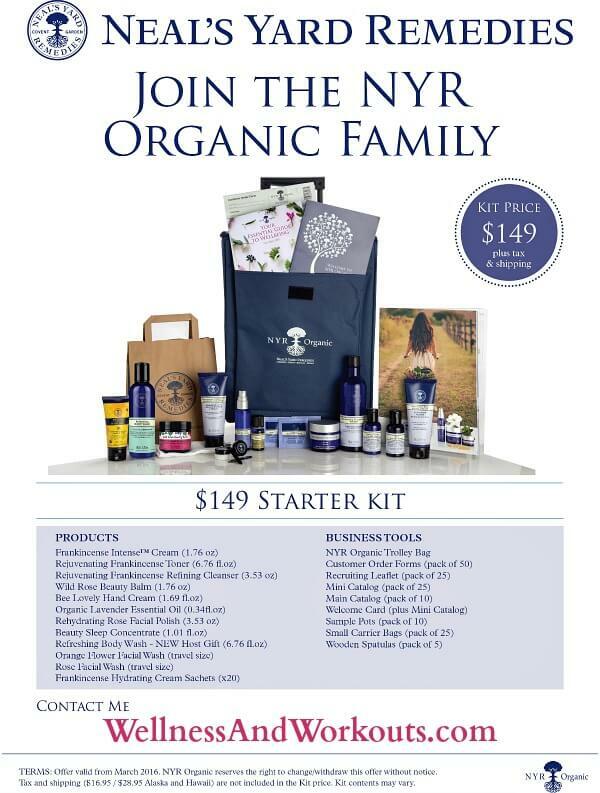 Join NYR Organic Today! When you join NYR Organic, you purchase a starter kit with over $386 worth of organic skin care products, for only $149 plus tax and shipping. Will I get a discount if I join? Once you purchase your starter kit, you will get a 25% discount on your future purchases (often much more, as many sales discounts are available in addition to your consultant discount), as long as you remain active as a consultant. What's the catch? How do I remain active? To remain active, you must sell or purchase $100 retail in one month, per 12 month period from the date you join. No pressure, no auto-ship, the discount is there for you when you want to use it. What if I want to build a business with NYR? If you want to use your starter kit to build a business, it comes with the catalogs and other business supplies you will need to start right. And what about if I want an NYR website, what is the cost? 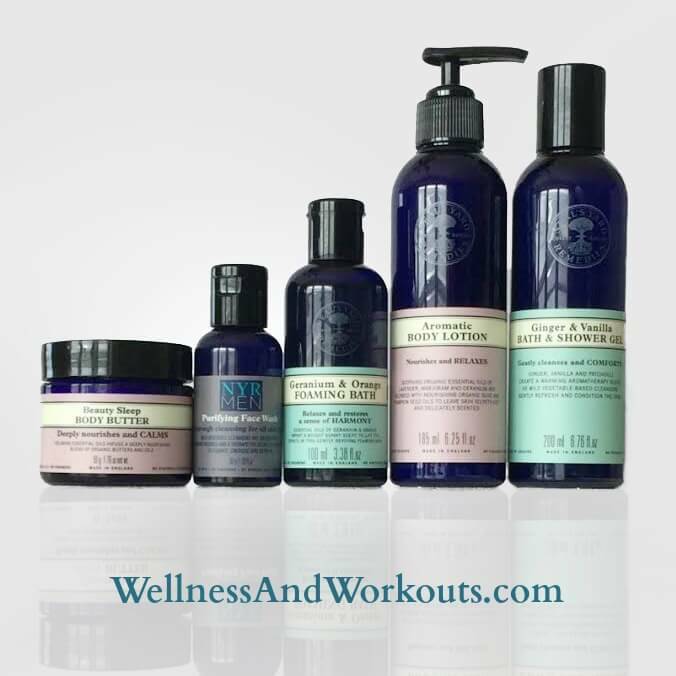 Your NYR Organic replicated website is FREE to you, and will be available for you to use and share within moments of joining NYR Organic! You can share the link with your friends on social media or in emails right away! I like what I'm reading. How do I join? Congratulations to Madelin K., you are the Winner! Madelin, please check your email for instructions on how to claim your prize! 2. Subscribe to Kelly's email newsletter, at her blog, A Girl Worth Saving. 3. Use the Rafflecopter form, below, to register your entries, and learn more ways to enter! (Please be sure to use the Rafflecopter form, it is what I will use to draw the winner's name). Enter to win a Royal Berkey Water Filter! Click here to enter. Click here to see the June Amazon Gift Card Giveaway! November Giveaway: $400 Amazon Gift Card! Begins November 4th! I am very excited to tell you that for the November sweepstakes and giveaway, I am cooperating with some other terrific bloggers again to bring you a chance to win a $400 Amazon Gift Card! Enter to win your own $400 Amazon Gift Card starting November 4th! 1. Click to take a closer look at the details of the Amazon Gift Card! 2. Subscribe to Workout Motivation, our newsletter highlighting the latest posts and health tips from Wellness and Workouts! You are free to unsubscribe at any time after this giveaway has ended. 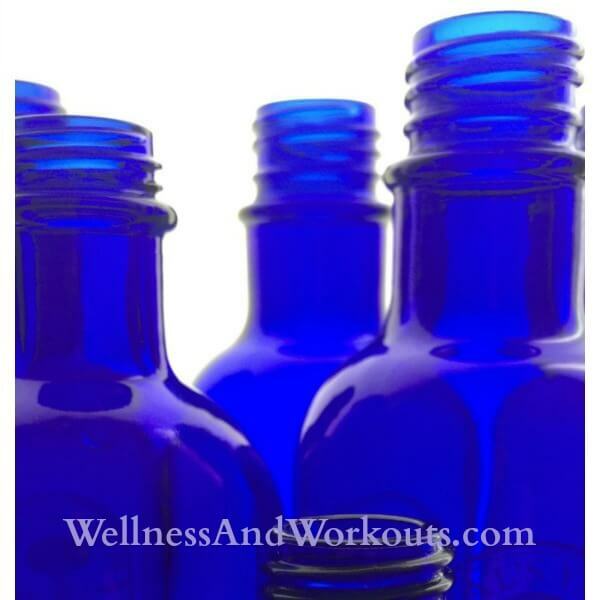 Wellness and Workouts will not share your email address with a third party. Your email address is solely used for our newsletter and updates from Wellness and Workouts. 3. Complete the mandatory skill question. 4. Leave a comment letting us know what you might buy with your $400 gift card! For more ways to win, be sure to visit and subscribe to all the blogs responsible for this giveaway! Tell your friends about this giveaway! Click to Tweet: Enter to win a $400 Amazon Gift Card! A winner will be chosen via random.org. We will announce the lucky winner sometime after the giveaway ends Monday, November 18th, 2013. The winner will have 48 hours to contact (nourishingherbalist at gmail dot com) with his/her full name, address, and phone number. There is no purchase necessary to win. This giveaway is open to everyone. 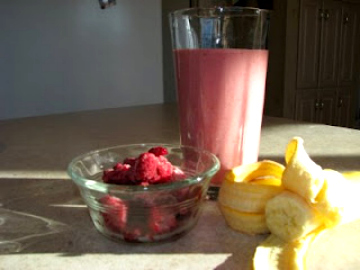 Click here to go to the Vita-mix blender Giveaway Page! Please also note, my T-Tapp Basic Workout Plus runs through September 11, 2013. Scroll down to enter! T-Tapp Basic Workout Plus Giveaway! I've got a real treat for you on my sweepstakes and giveaways page this month! T-Tapp Basic Workout Plus is the workout that got me moving again after my back injury. 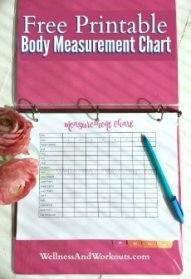 I lost a couple of clothing sizes in a few months after using it along with T-Tapp's Total Workout. 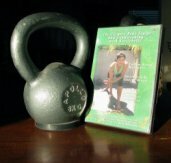 I still use the Basic Workout Plus on a regular basis. I would not want to be without it! This giveaway is a $39.95 value. I’m so excited to be able to award these to one of you! Use the Rafflecopter giveaway entry form, below. It is Easy to enter! There are a number of ways you can earn additional entries, and increase your chances of winning. Family members of Wellness and Workouts owners are not eligible. This giveaway is subject to this site’s Giveaway Terms and Conditions. *Entering this giveaway does not guarantee that you will win. There will be one winner, only, for this giveaway. *You may unsubscribe from the Workout Motivation Newsletter email list at any time. However, to be fair to all entrants, you will need to be subscribed at the time the winner's name is drawn and announced in order to be eligible to win. If you have already subscribed to my Workout Motivation Newsletter, then you qualify for this option, just mark it as done! Please note: for this giveaway, some of the entries may be repeated once per day. So keep coming back each day to increase your chances of winning! Congratulations to Denise McGee on Winning the August/September T-Tapp Giveaway! Can't wait to find out if you're the winner? Get your own copy now! Have you ever read a health or fitness article in the mainstream media, and committed to follow that advice? 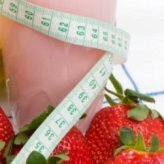 Did you, or do you follow a strict low calorie diet in an effort to lose weight? Do you work out frequently, with little result? How are you doing? 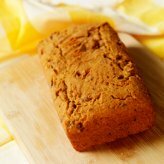 Do you feel like you have done what it should take to fire up your metabolism, with little result? A few weeks ago, I first read Elizabeth Walling's excellent book, The Nourished Metabolism. I had loaded a few books on my Kindle at that time, and started hers right away. I was just going to read a little... but I didn't read very far before I was hooked! The Nourished Metabolism is well written, well researched, and fun to read! I have enjoyed reading it, and re-reading parts of it in my preparation to tell you about it. I've even created a little quiz from it, so you can learn if you have a stressed metabolism! 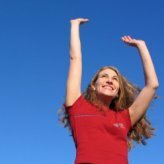 If conventional wisdom about health and fitness has let you down, Elizabeth Walling has found some key information you need to know if you want to improve your health and increase your metabolism! 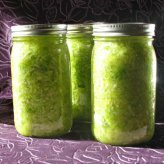 The June/July giveaway of The Nourished Metabolism has ended. Still want a copy? Go here to get The Nourished Metabolism now! Congratulations to Tina M., the May/June sweepstakes and giveaways winner! 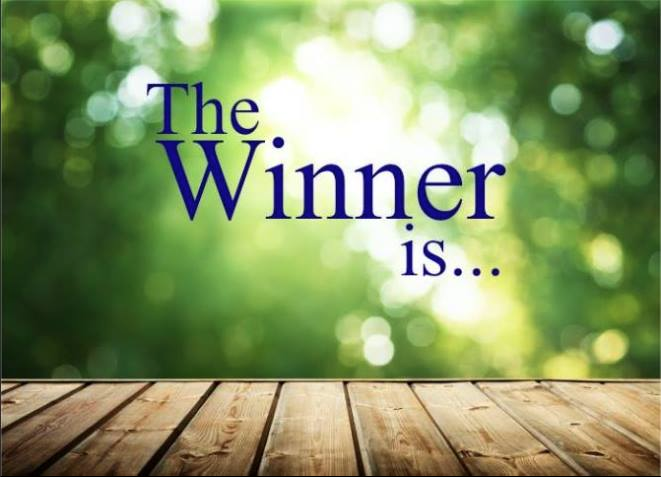 Congratulations to Peggi B. on winning the April Giveaway!